When starting your own business, it is wise to keep your personal finances separate from business finances. One way to do this is to establish a business bank account. In order to establish a business bank account, your company must have an EIN (Employer Identification Number) to identify your business with the IRS (Internal Revenue Service). An EIN can not be used to open a personal banking account, only business. Request an EIN from the Internal Revenue Service. This quickest way to get an EIN is to use the online application on the IRS website. You can also apply over the telephone by calling 800-829-4933. If you want to apply for an EIN through the mail, submit a completed Form SS-4 to the address designated on the application. Print your EIN letter if you applied for an EIN online. If you choose not to print your EIN letter, wait to receive an EIN letter in the mail. This can take three to four weeks from the date you applied for the EIN. Register your business in the city your business is operating in, if you are doing business as a sole proprietor. If your business is structured as anything other than a sole proprietor, it may also be necessary to register your business with the Secretary of State. Contact your Secretary of State's Office to verify where your business must be registered. Take the EIN letter and proof of business registration to the bank of your choice. Advise the banking representative that you would like to open a bank account for your business. 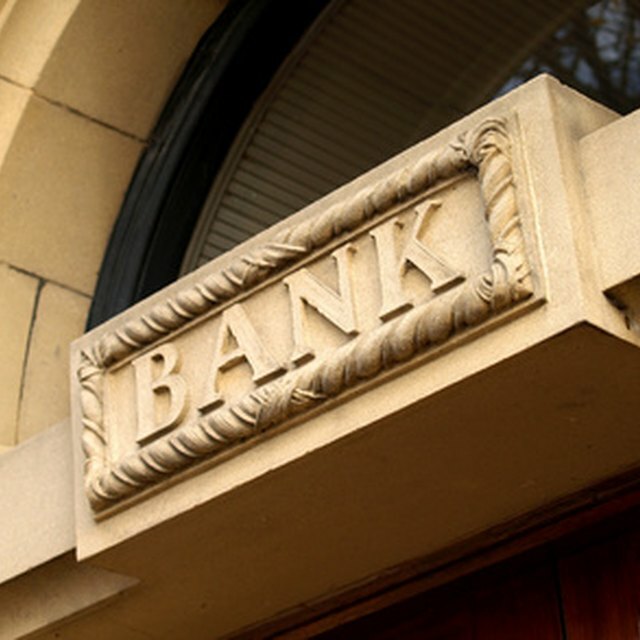 Many banks offer low or no-fee bank accounts to nonprofit organizations. If your business is registered as a nonprofit organization, ask the bank representative if these type of accounts are available. Present photo identification to authenticate yourself as the business owner. Complete the required paperwork to open your new account. Include on the paperwork the names of other company officials who are authorized to make transactions with and have access to the bank account. Submit your opening deposit to fund and activate your new account.